It would be nice to imagine that the Panigale was born of a single meeting; a frantic day of wild ideas, fiercely strong espresso and line drawings hastily scrawled into an artist's sketch book. But, of course, it wasn't quite like that. There was no single meeting. The bike was formed from a series of ideas and it was actually the radical Superquadro engine that took initial electronic design form some time back in 2007 as Ducati top brass began planning for the future or superbikes. Before that, as early the end of 2006, Ducati people were mulling over what direction the future of sports bikes would take. Ducati General Manager Claudio Domenicali said: "The project had an initial stage where nothing was very defined. At the end of 2006, after the 1098 was launched, we set down how we were going to create a successor. "The project began fully in 2008; before that we had already been talking but there was no set project team. It would have been cheaper and easier to evolve the older model but if we had done that we would always be limited by existing technology; limits that have now been resolved by the Superquadro engine." 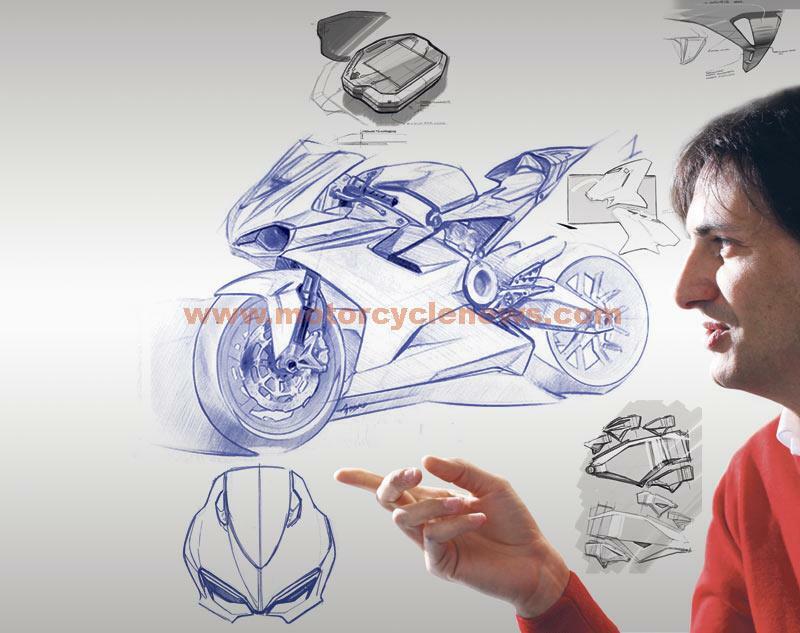 Designer Gianandrea Fabbro first sketched what was to become the 1199 Panigale as far back as September 2006 - weeks after he had finished working on the 1098 and two years before Ducati had committed to build the new machine. Why so early? Fabbro laughs and explains thatit has always been his dream to design a completely new Ducati superbike. He was the lead designer on the current Multistrada 1200 before working on the 1199 Panigale. He said: "The first design was for fun! I knew there was no new bike happening but my dream was to make something very modern, compact and technical in design. The first sketch took me one afternoon. It was a pencil drawing so it was easy to erase it as I went along. "I wanted the bike to do what the 916 did - the design came from necessity. I like the engine to be on view as much as possible. The design is all about pulling everything around the front wheel of the bike, giving it some visible weight." Ducati opted for an internal competition to find out which person was going to get the job of designing the bike. 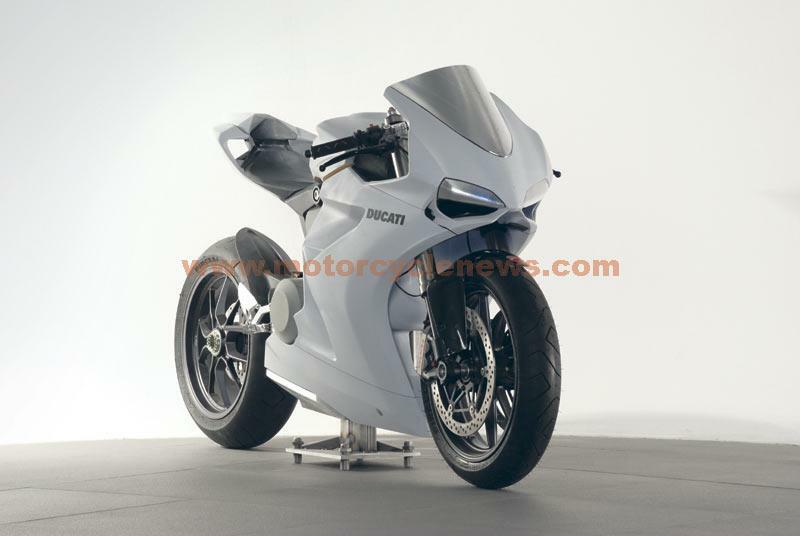 Of all proposals submitted, three Ducati designers were chosen. Two of the three designs were then chosen for each designer to go away and build a full size mock-up of the bike in grey foam. No colour is allowed as it is the style of the bike being appraised. Fabbro was chosen as the winner. In January 2008 the 1199 project began in earnest; codenamed 0801 and the concept was fixed.